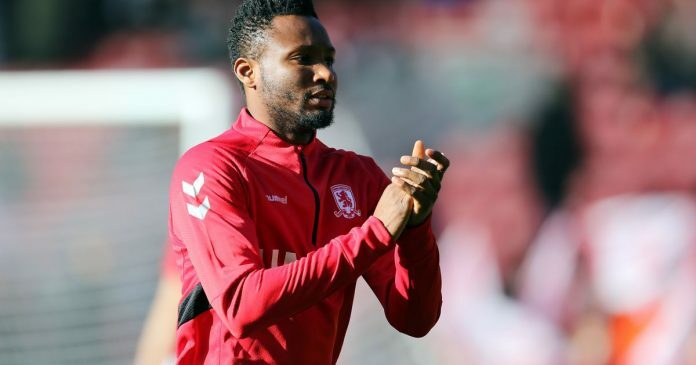 John Obi Mikel has advised players under the age of 30 to think twice before considering an offer from Chinese clubs that they should not be tempted by the money. Chinese teams are luring outstanding players from top European Leagues by offering them huge financial incentives, and Mikel cashed in when he ended his more than ten-year association with Chelsea in January 2017. After only two years in China, Mikel mutually terminated his contract with Tianjin Teda in the winter transfer market, citing the need to be closer to his family as the reason for his decision, before penning a short-term deal with Middlesbrough. My advice to anyone thinking about going has a long think about it, you have to go at the right time. I certainly wouldn’t say to anyone under the age of 30 to go there, they will regret it if they do. It’s worth doing for a couple of years if only to learn a different culture, to give yourself an experience that takes you out of your comfort zone, but do not be tempted by the money if you are young. Do your research, check what sort of club you are going to over there. You should wait until you are approaching the end of your career, the money makes the move tempting, we’re only human, but do not be tempted by the size of the cheque if you are in the prime of your career, It’s not worth it. The experienced midfielder has been one of the shining lights for Boro in their push for a playoff spot, having regained his fitness.